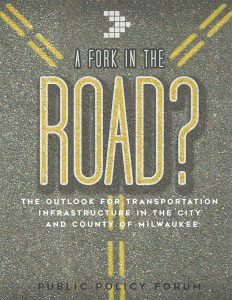 Wisconsin Policy Forum | A Fork in the Road? 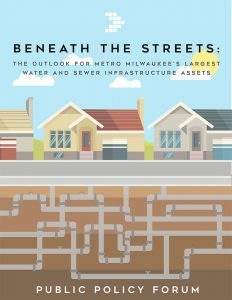 Our new research finds that local streets, highways, bridges, and buses owned by the City of Milwaukee and Milwaukee County have substantial investment needs, and that those needs will be more difficult to meet as overall financial pressures limit the amount of borrowing both governments should be pursuing. 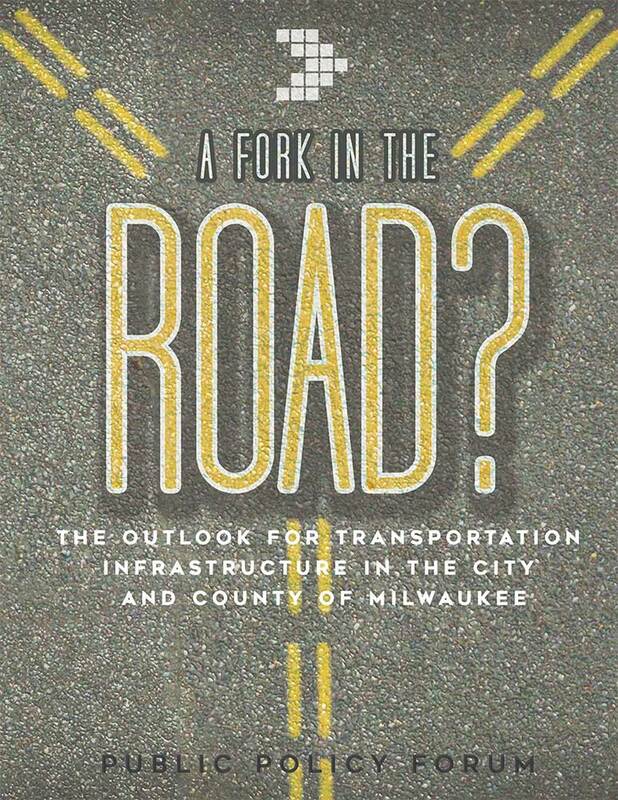 The single biggest transportation infrastructure challenge is Milwaukee County’s need to maintain a regular replacement cycle for its fleet of 412 buses, 26% of which have reached 500,000 revenue miles. 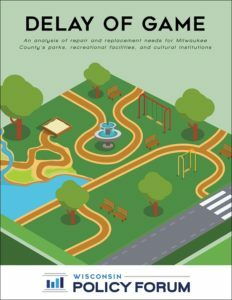 The City of Milwaukee also faces a significant challenge given that 56% (792 miles) of City streets are rated in poor or fair condition. 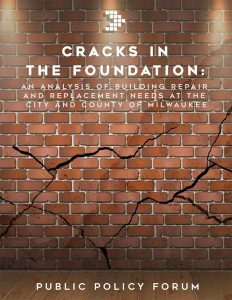 Both the City and County issue bonds to address most of their major capital repair and replacement needs. Yet, both also have adopted policy goals that limit amounts of annual borrowing. The City estimates a need for an average of $76 million annually from local, state, and federal sources to support bridge and street capital needs, while the County will be required to spend more than $15 million annually to replace buses. On September 29, 2016 — 16 days after the release of this report — we were informed by the Milwaukee County Transit System (MCTS) that there had been an error in the data provided to us regarding the inventory of MCTS buses. The inventory we received included all buses on MCTS property at that time, including 412 active buses and 24 inactive buses. We had erroneously been informed that the data file pertained only to active buses. The inactive buses should not have been included in our calculation of the percentage of the MCTS fleet that had exceeded the federal replacement threshold of 500,000 miles. We have re-calculated our numbers based on this new information, and they are now reflected in the full report and report brief. The key modification is that 26% of MCTS’ buses exceeded the federal replacement threshold as of the time we received the data, as opposed to our original calculation of 30%. While regrettable, it is important to note that this relatively minor modification to our original calculation in no manner alters our observations and conclusions regarding the County’s overall need to replace buses and the severity of the fiscal challenge related to that need.